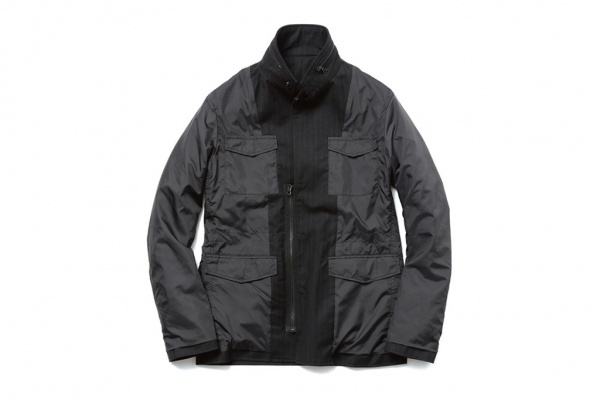 Japanese label uniform experiment have truly lived up to the latter part of their name with the creation of this M65 Reversible Dress Code Jacket. 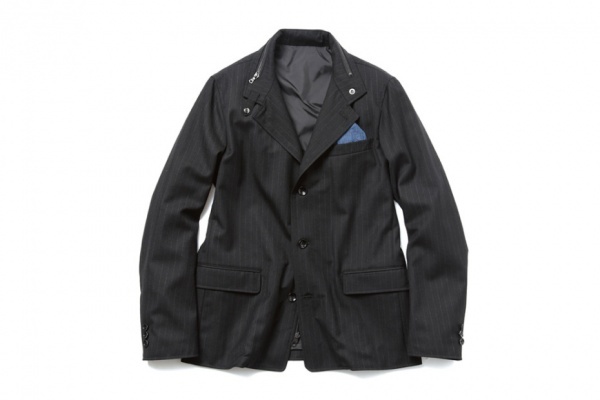 On the surface, this is a finely tailored – if unique – wool strip blazer, but with some quick changes, the piece turns into a military M65-inspired piece of outerwear. Priced at ¥79,800 JPY (approximately $810 USD) the jacket is available in khaki, navy or black colorways, and though it may not be for everyone, it’s hard to deny how exciting a piece like this is. For more information check out the Uniform Experiment site. This entry was posted in Outerwear, Sportcoats, Tops and tagged blazer, Designer, Dress Code, jacket, Japan, JPY, M65, M65 Reversible Dress Code Jacket, REVERSIBLE, Uniform, Uniform Experiment, USD, Wool Stripe. Bookmark the permalink.